We saw it during the EUROs in 2016, we saw it during the World Cup in 2018, and now we’re going to be treated with a new Champions League Final matchball, that is going to be used during the entire knockout stage. Before the start of this years Champions League campaign, adidas introduced a completely new design for the Champions League official matchball. You’re usually used to see the official matchball with a white design and with the iconic Champions League stars made in different vibrant colours. This season adidas took a different approach, as they made the base colour blue, while the stars were made bigger and white, which highlights the iconic stars. 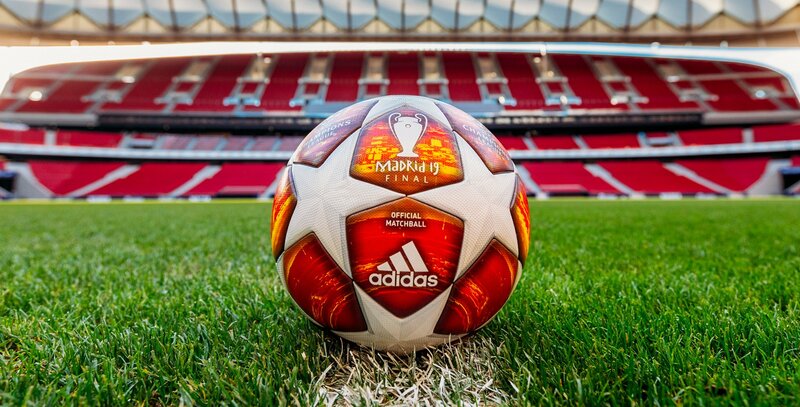 The similar approach was taken for the new knockout matchball, which has been made in a striking red and orange colour, with a graphical image of Wanda Metropolitano, the new Atletico Madrid's home ground. Wanda Metropolitano is chosen as the graphical element of the matchball, as the Champions League Final will take place there in June. 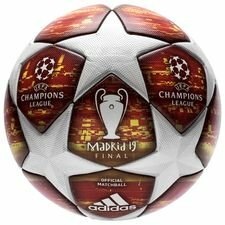 The knockout matchball features the official Champions League brandings, ‘Madrid 19’ and the silhouette of the iconic Champions League trophy. The official Champions League matchball is more than just a design update, as adidas ensures the best possible condition to the best players in the world. The official matchball contains an outer texture coating, that secures a grip and complete control. The star panels on the ball are all thermally bonded to offer a seamless surface for an enhanced first touch on the ball. The new official Champions League matchball knockout edition will be available for preordering at Unisport from today, so are you a football collection, then be sure to get your Champions League football.